It’s not even three months since one of the most active Atlantic Hurricane Seasons ever ended. This year’s hurricanes caused billions of dollars in damage and claimed the lives of dozens of people in the Caribbean, Florida, and along the Gulf Coast. But how did it treat the oil and natural gas industry? Hurricane Season runs from June 1 to November 30. It typically sees an average of 10.1 named storms with an average of 5.9 becoming hurricanes and just 2.5 becoming major hurricanes. Major hurricanes are storms that Saffir-Simpson Scale classifies as Category 3 or higher. While stories of property destruction, loss of life, and power outages were rampant during the months following the peak of the season, these hurricanes affected a lot of operations you might not have seen on T.V. For example, the oil and gas industry. It’s no secret that the Gulf of Mexico’s welcoming warm waters also serve as a major source of oil and natural gas. According to the Energy Information Administration, “Gulf of Mexico federal offshore oil production accounts for 17% of total U.S. crude oil production,” while offshore natural gas in the area accounts for 5% of total U.S. dry production. Over 45% of U.S. petroleum refining operations and 51% of total U.S. natural gas processing plants. It’s clear to see just how crippling the effect of strong hurricanes and other storms can be. Hurricane Harvey was a beast of a storm. As it moved into the Gulf of Mexico on August 22, meteorologists predicted that when it made landfall it would be a major hurricane and meander over the land. Unfortunately for residents in Texas as well as oil activities, most meteorologists were right. As Harvey’s 130+ mph winds ripped over the Gulf, they interrupted offshore activities. A fifth of oil and a quarter of natural gas platforms in the area were shut down. Fearing human safety as well, workers were evacuated from 14 of the Gulf’s 737 manned production platforms. Continued flooding and dangerous weather conditions onshore brought refining operations to a grinding halt. 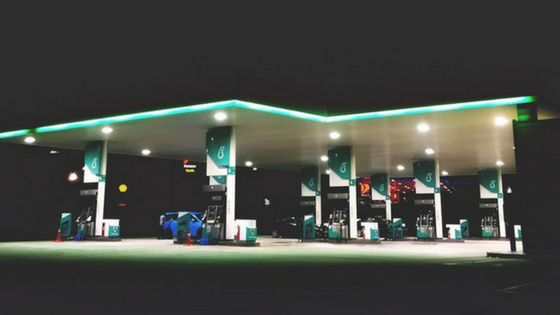 According to S&P Global Platts Energy, decision-makers had to shut down 10 refineries in Texas, including ExxonMobil in Bayton, Valero in Corpus Christi, and Shell in Deer Park. The problem persisted even after flood waters receded at refineries thanks to transportation woes. Even when areas immediately surrounding the refineries were safe to pass, many major roadways were still feet underwater. Harvey shut down more than just roads. Ports at Corpus Christi and Galveston were closed for at least a week following the Category 4 storm’s landfall. 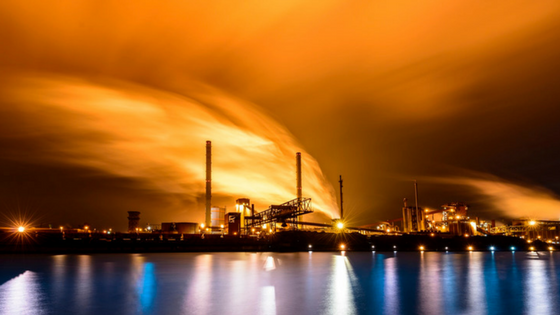 Even though Harvey shut down approximately a quarter of offshore production and more than a fifth of refining capacity in the region, the industry bounced back quicker than ever before. Why is that? As we discussed before, the Gulf of Mexico is no stranger to strong hurricanes and devastating storms. 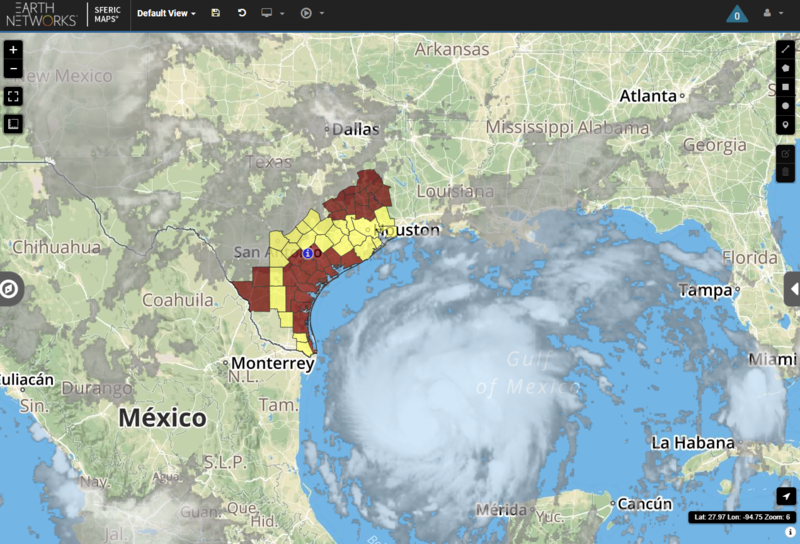 Just as meteorologists knew a hurricane was likely to hit the Texas area, so did the offshore and onshore operations in the area. They studied how hurricanes affected operations in the past. They also monitored weather conditions to ensure they were making the best possible decisions and had a foolproof disaster recovery plan. Following Katrina, the industry underwent huge changes. The American Petroleum Institute changed the guidelines for the height of offshore oil platforms to protect them from waves. The strategic petroleum reserve also was a key player in helping the area bounce back. Not to mention, alternative sources of energy like wind and solar make America’s power network less reliant on oil. Therefore, when a natural disaster occurs, the effects are not as far reaching or extreme. At the end of the day, Hurricane Harvey hit the oil and gas industries where it hurt the most: Refineries. However, the storm had no major lasting effects and operations normalized by the end of September. It’s plain to see that preparation is the key for oil and gas companies operating in the Gulf of Mexico. If you’re interested in preparing your organization for anything Mother Nature can throw your way, you can’t do it without real-time hyperlocal weather data. 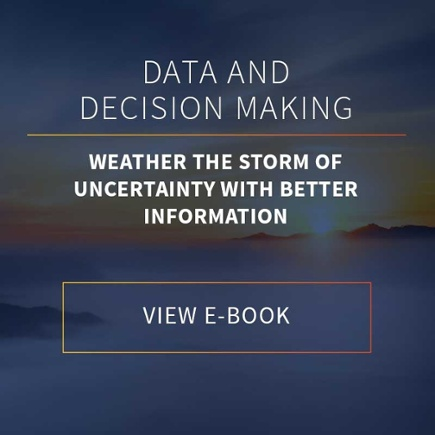 Learn more about the different types weather data that aid in decision making with our free eBook.